Not to be confused with 80'ies Christian hard rock band by the same name, Angelica (last name: Rylin) is a Swedish singer best known as the vocalist of The Murder Of My Sweet. "Thrive" is her first solo album and it's a departure from TMOMS's sound. We're dealing with modern-meets-vintage AOR here. Heart, Robin Beck and Romeo's Daughter are mentioned as major influences is the press release, spiced up with producer Daniel Flores' modern touches. The concept is pretty similar to that of Issa's albums on the same label, and indeed some of these songs sound like they could have been written for her. Angelica is a fine singer and over the weeks I've been listening to this, I've grown to like these songs a lot. Initially I liked it, but wasn't totally blown away, but I have to say "Thrive" has become one of my favourite albums of the year. If you've only heard the first single/video "Breaking My Heart" you do not have the whole picture. It's a good song but nowhere near the best one of the album. There are several songs which are more cleverly written. "I Am Strong", "To Your Rescue" and "You Will Never Win" may not revolutionize the art of writing AOR songs but they do have more twists and turns that the average Journey ripoff songs so common in the genre. Other songs I want to mention are the fine ballads "Can't Stop Love", "Losers In Paradise" and the closing number "Take Me To Your Heart", which has a very cool and surprising pre-chorus. If only the chorus had been as good. It's nice, but somehow it just screams "eurovision pop"! There really isn't a weak song on the album, so this is pretty close to a perfect 5R rating. Some of the choruses are a bit too predictable for their own good, hence it's only a very strong RRRR. 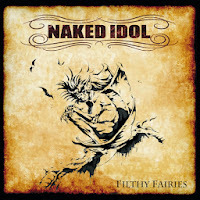 Naked Idol was formed by ex-Lordi bass player Magnum in 2006. This year they signed a deal with an indie label called Rascal Music Finland. So far they’ve released a few singles and this 5 track EP. 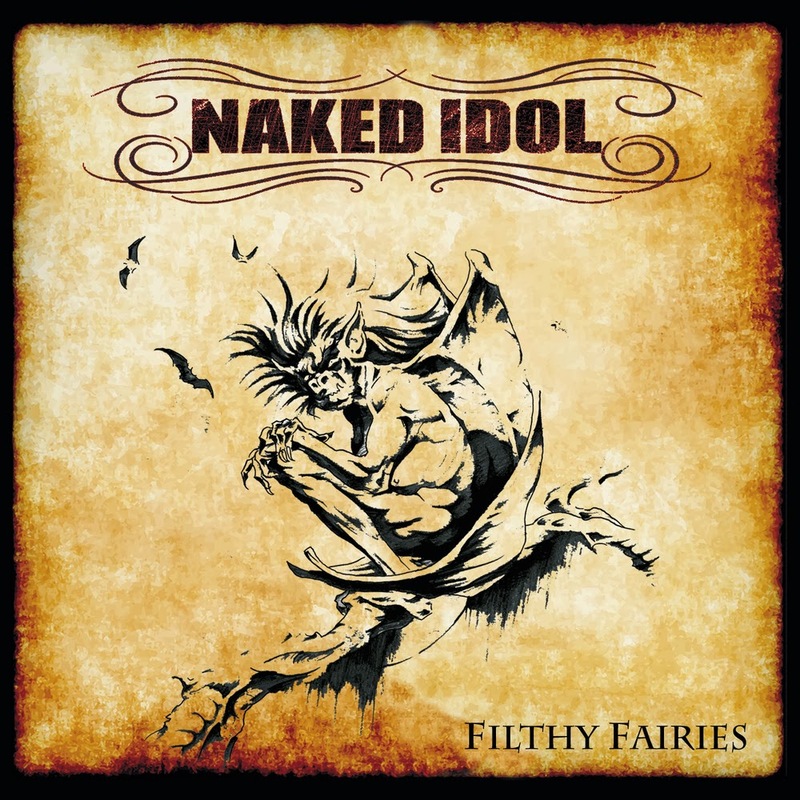 Naked Idol could very well appeal to the fans of Lordi, as the band is obviously very much influenced by the 80’ies hard rock and metal. Not to mention the fact that both ex-Lordi drummer Kita and Mr. Lordi himself make cameo appearances on the EP. However, the band’s sound does have a slightly contemporary edge, especially the guitar work is quite ”modern-sounding”. ”Shattered” is the band’s latest single and the opening track of this EP. It’s one of the more modern-sounding tracks of the album, with effected vocals and grinding riffs, but the ”salvation” comes in the form of a very melodic and catchy hook. ”Hungry (For You)” is pretty straight-forward, catchy eighties’ styled hard rock, while the title track is the one with Mr. Lordi. Unfortunately it sounds like a left-over from a Lordi album, the usual croaky vocals and a rather irritating chorus. The balladic ”Jane” is my favourite track of the album, reminding me a bit of Alice Cooper and Kane Roberts. ”Devil Ridin’ Shotgun” is another somewhat Lordi-like track, with gruff vocals from the band’s singer Malcolm and a chorus hook that wouldn’t sound out of place on the monster band’s latter day albums. All in all, this EP promises good things for the future. The band has an ear for a good melodic hook and I’m hoping that their first full-length album is full of them. If you’re an avid collector of everything released by Frontiers, this is one album that you might want to listen before purchasing. It’s very different from the label’s usual melodic hard rock and AOR stuff. Benedictum are a female-fronted heavy metal band and they are not even flirting with AOR. Okay, they’re not as extreme as, say, Arch Enemy, but they’re still pretty damn heavy and uncompromising. The first impression I got was ”Judas Priest with a female vocalist”, and I’m still sticking to that. Vocalist Veronica Freeman is quite impressive, she belts out the songs with passion and the rest of the band back her up competently. The problem lies within the songs - apart from a couple of exceptions, they are just too forgettable. There are too many choruses which are based on simple, monotonic phrases screamed out loud. Interestingly, both of the album’s standout tracks feature guests. ”Cry” is a duet between Freeman and Tony Martin of Black Sabbath fame, and it’s a very good balladic track with both of the singers doing a fine job. Right next to it in the tracklisting is ”Thornz”, which features A Sound Of Thunder vocalist Nina Osegueda sharing the vocals with Freeman. It’s a more of an uptempo track with catchy guitar work and a decent chorus hook. Unfortunately the rest of the album doesn’t appeal to me, hence the low rating. However, if a ”Painkiller”-era Priest with aggressive female vocals sounds appealing to you, do give this album a try. And ”Obey”! The band Damnations Day was given life in 2005 in Geelong, Australia before moving to Melbourne shortly after the release of their EP in 2009. The band was a three piece unit then, comprised of Mark Kennedy on vocals and guitar, Luke Vinken with the bass and Dean Kennedy behind the kit. Jon King joined the fold in 2012, taking up the lead guitar position. 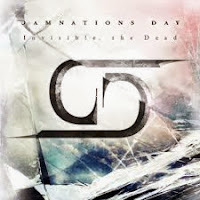 Damnations Day cite influences such as System of a Down, Metallica and Iron Maiden and have amazingly self-funded their own successful New Zealand tour in 2011. Among other live dates they are scheduled for two festival performances, Steel Assassins in early November 2013 and the Stormrider Festival in May 2014. After eight years of playing around Australia and gathering a sizeable following, Damnations Day served up Invisible, The Dead on September 17, 2013. Prior to the release of this full length debut the title track was issued in video form in August as a teaser and one can also find some recent live performance videos on you tube. While Invisible, The Dead is not a totally unenjoyable listening experience, the progressive power thrash sounds are not this reviewer’s particularly preferred cup of tea. Of the nine compositions included in the 37 minute collection two are acoustic ballads, Ghost In Me and A World To Come, the album closer and they seem a little out of place to me. 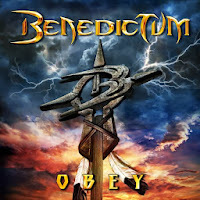 As for the rest of the album I find it difficult to evaluate or choose a standout cut as the other tracks all sound very similar with some decent riffs, a sort of meld of power metal and thrash, but all seem to be lacking something, not quite pulling it off. The potential is there for Damnations Day, maybe it will grow on me with more listens. 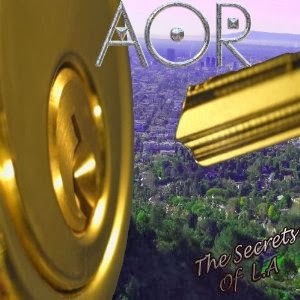 AOR: "The Secrets Of LA"
Now I'll start by saying I've liked the other AOR releases and Frédéric Slama must be applauded for bringing together such a wealth of talent. However, on this occasion I'm afraid this release has not grabbed me in any shape or form. Yes there are some great vocal performances, well apart from Bob Harris, whose performances on the tracks 'Out Of The Past' & 'The Main Attraction' are truly awful. I've read plenty of glowing reviews of this album over the last couple of weeks and have wondered whether I've been either listening to a different album or my taste in music has somehow gone screwy. Before you all start shouting that I've obviously not listened to it properly, I have sat and listened to it all the way through several times without interruption. And my opinion has not changed. Anyway the only standout tracks for me are 'Stage Struck' with Jeff Scott Soto on vocals & 'The Name Of The Game' with Robin Beck on vocals. The remainder of the album just sounds all the same to my critical ears, apart from the two awful songs I've already mentioned. I've rated it 'RR' due in part to the talent involved, otherwise it would of only merited a solitary 'R'.